The sneaky salesmen are getting pretty good at giving us just a little bit more than what we want. Double up for a pound? Two for the price of one? Large one? Buy this and get that one half price? Would you like fries with that? Yes. Yes, everytime. Each of us say yes to these dubious economies around 106 times a year, and they’re increasing our calorie intake, big time. An estimated 17,000 extra calories a year come from the needless extras that seem like such a good idea at the time. But, to be honest, the chances of us turning down such treats are slim. If you’re the same, then try this 30-minute fat burning bar-bell workout that will clear your conscience and will mean you’ve earned that extra shot of walnut syrup for your latte. 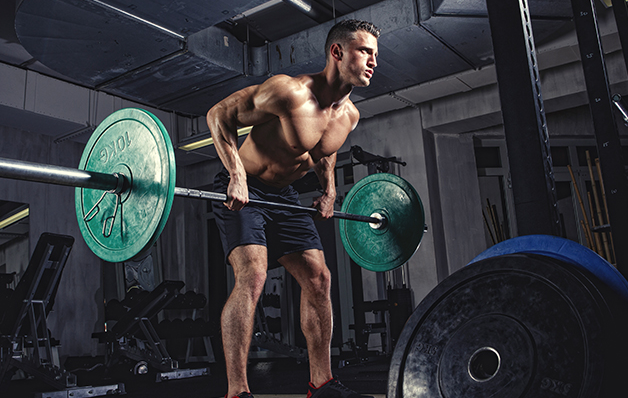 All you need to harness your body’s fat-burning potential is 30 minutes and a barbell, according to fitness writer James C. Mitchell. 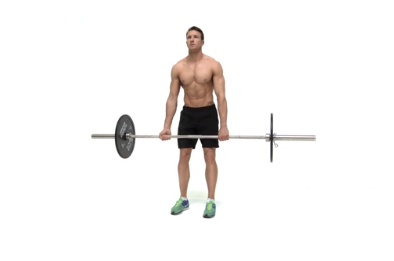 You’ll hold that barbell until all 50 reps are complete, moving from one exercise to the next without rest. It’s filthy, but you’ll send your cardiovascular system into overdrive and trigger massive levels of Excess Post-exercise Oxygen Consumption (EPOC), which will help burn fat long after you’ve dropped the thing. Pick a modest weight and do as many rounds as you can in half an hour. 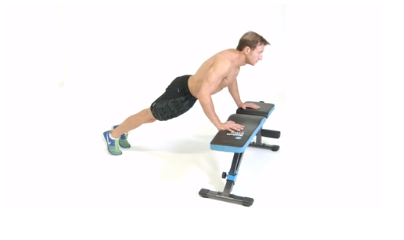 Complete one set of each exercise, resting for 45 seconds between moves. 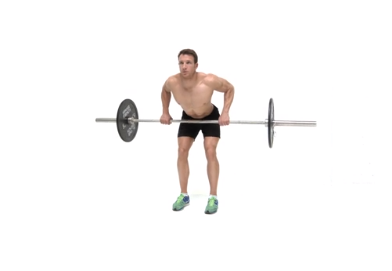 Once you've finished the military presses, return to the deadlift and repeat the whole circuit for 30 mins. 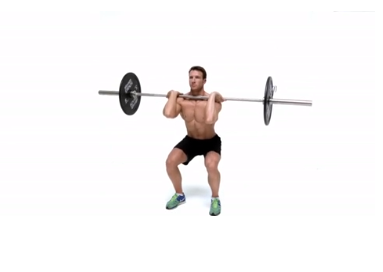 Position your feet close together and lift the barbell up to your shoulders, palms facing forward. 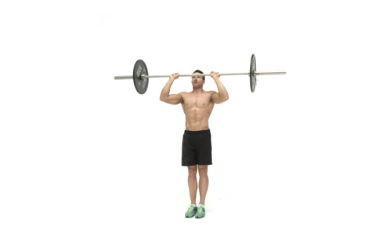 Press the barbell above your head explosively until your arms are fully extended, then lower the weight under control.